To record, preserve and make available for public scrutiny all past items – documentary, illustrative, spoken and written memory and, where appropriate, artefacts – to do with the parish of Fontmell Magna. To record present and on-going events in or about the parish for the benefit of future generations. To involve and encourage both present and past parish residents of all ages to assist in accumulating, recording, properly preserving and displaying such items. To arrange for the safe keeping of the Archives should the Society cease to exist. 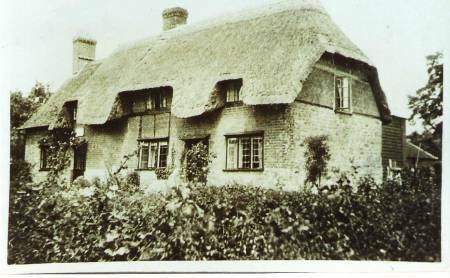 In 1988 a major historical exhibition was held in the village to celebrate the 1100th year of the first recorded mention of ‘ffuntemill’ as a settlement. Some 200 items were collected for display and by the end of the 10-day exhibition nearly double this number were brought in, or their whereabouts made known. The opportunity was taken to record all these new discoveries and many were eventually donated to the organisers. This formed the basis of the present collection, which now totals some 3000 items, all solely to do with Fontmell Magna. This has been described by the Museum of Rural Life at Reading University as “…one of the most comprehensive collections of social history for a village of it’s size“. Residents and those interested from further afield meet monthly to compile a catalogue and design displays for public showing, as well as compiling their website. So far, they have mounted four week-long exhibitions and seven specialised displays and have published eight booklets compiled from material in the collection. The Society also believes that as many items as possible should be available for perusal in residents’ homes, and to this end they have a document and book loan service where copies of the more interesting originals can be borrowed. They also handle a growing number of enquiries form the UK, USA, Canada, Australia, New Zealand, France and Germany, and have several research projects in progress.